Volkswagen pulled a Rabbit out of a hat, when everyone expected a Golf. Yes, the latest version of the Golf is called a Rabbit in the USA, just like in the early 1980's, when the Rabbit was the best-selling VW. The standard 115-bhp 2.0L engine is finally replaced by a more energetic 150-bhp 2.5L inline-5, shared with the Jetta. Transmission choices include a standard 5-speed manual, or an optional 6-speed automatic. Incidentally, both transmissions offer the same fuel economy. A new chassis offers fully independent suspension for the first time. Standard equipment includes power windows, air conditioning, cruise control, heated windshield washer fluid, and 10-speaker CD/mp3 audio system. 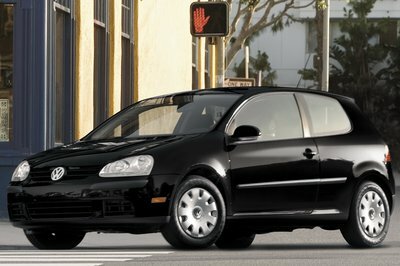 VW includes a complete set of passive and active safety features such as front side-airbags, rear side-airbags, side-curtain airbags, ABS, traction control, and optional ESP (Electronic Stability Program).